We get calls about many things related to rocketry. This latest “interesting idea” was a proposal from Levi’s jeans that wanted to do a retro ‘Rocket Boys’ type promotional layout for their vintage line of jeans, shirts, coats, etc. They were looking for models, props and locations for a period photo shoot about the beginning of the Space Race in the 1950s in Huntsville, Alabama. The pitch was; “The main story opens with people staring at the October sky in 1957 trying to see Sputnik. 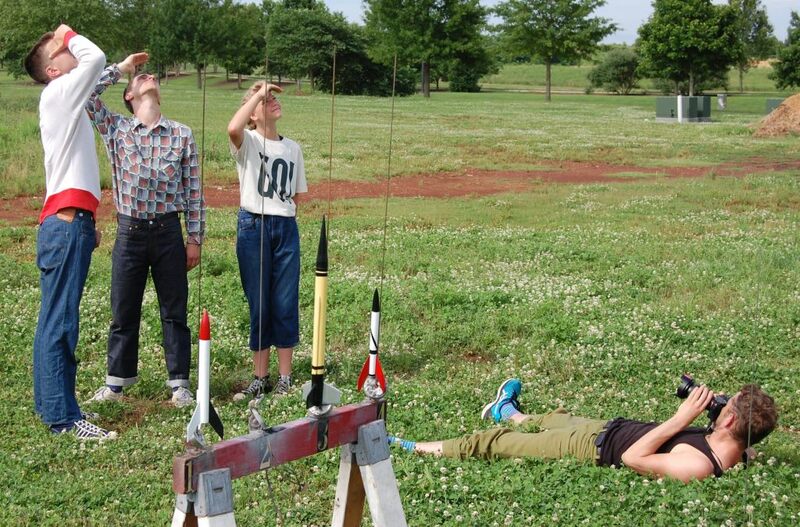 We will then focus on a group of young high school kids (wearing Levi’s) with a passion for building rockets. They will be taught about rockets by teachers in a rocket club and build and launch model rockets.” The photographer found several scenes of old classrooms, labs and garage workshops in which to stage shots. We had plenty of vintage rockets for props and did a launch for them. 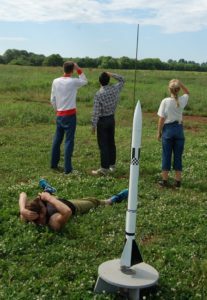 It’s a bit strange to be able to readily provide authentic fifty year old model rocket equipment, but the recreation was very realistic. 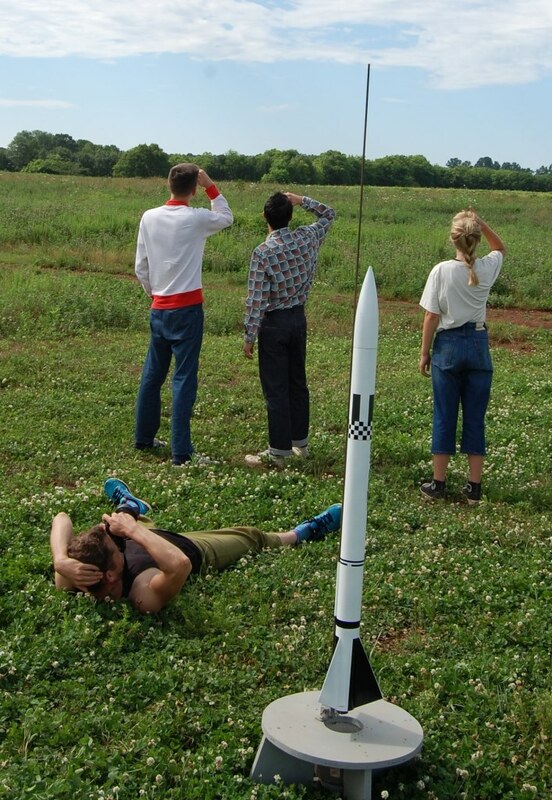 It may be the first professionally staged scenes that are digitally imaged of early rocket club launches. The pictures will be compiled into a book that’s distributed to their prime retailers to be released next spring. We’ll post some of them here then. Shown here are a few of the “looking into the sky for the rocket” scenes being taken by a fashion cameraman who’s about to learn about Alabama fire ants.